In this Penterra Plaza loft you'll love living right in the heart of DTC with a short walk to work, restaurants, and nightlife. 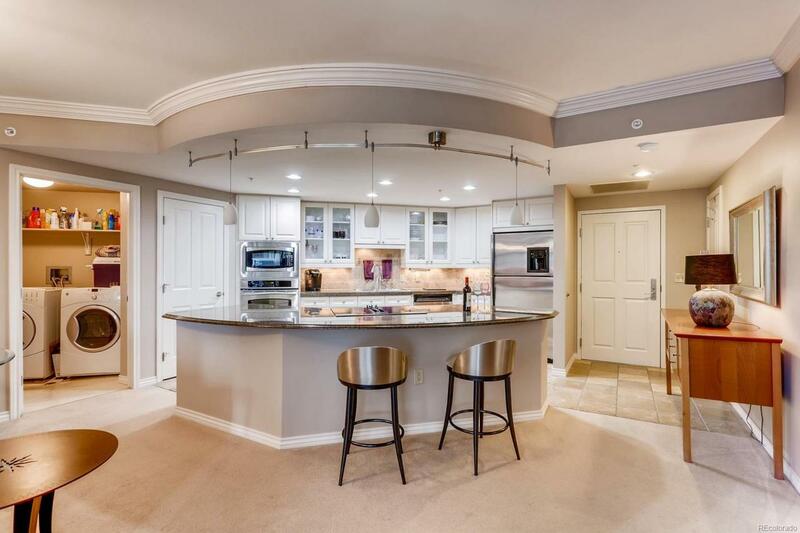 This condo features a modern kitchen with a built-in cooktop in the large island, stainless steel appliances, granite countertops, lots of cabinet space, and a walk-in pantry. The open layout has plenty of space for both a dining area and living space. Enjoy your morning coffee on your private balcony! The separate bedroom space easily fits a king sized bed and has its own walk-in closet! Relax in your oversized bathtub next to your glass enclosed shower and dual sinks. A large laundry room with in-unit washer and dryer rounds out the unit's features. Panterra Plaza includes a well equipped workout room, clubhouse, and community deck. The building also offers plenty of security and convenience with professional concierge staff on duty 7 days a week. This unit also comes with its own garage parking spot and storage unit.